Why Does it Feel Like Somebody�s Watching Me? This is your very first look at� well I don�t want to tell you the name of the character right now because I want it to be a surprise! You may or may not know who�s hiding behind that mask, but chances are they were either referenced or actually seen at some point in the original race. 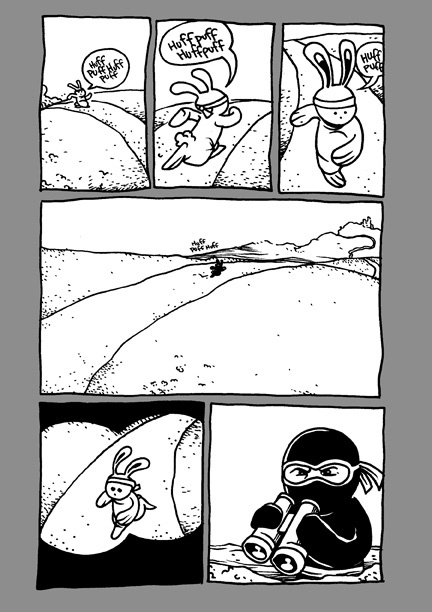 Otherwise I apologize for this strip being a little bland. The character needed a proper intro strip and trust me � things will get plenty intense in next weeks comics. 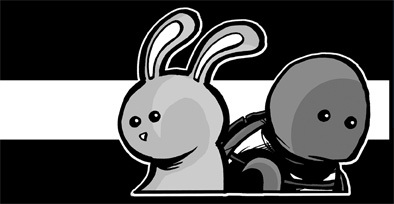 This masked menace will waste no time raining down fury on Bunny�s little fun run. 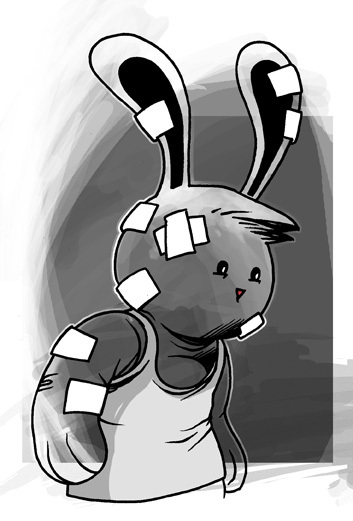 But to make up for the lack of excitement I�ve done this bonus image of Bunny as Marv from Sin City. If you�d like to see some other examples of Bunny at the Movies, click back through the archives or head over to this thread on the boards where I�ll be posting them regularly. Last bit of news� you�ve got 15 days left in the pre-order period for the brand new Victory shirts! For only 15 dollars you could own this limited edition piece of history commemorating Turtles win over Bunny in last years epic battle! Or just get it because it�s totally badass.